Today is Years’ End. Oh no how come time flies like this? If you have been following my blog all this time, let me say, thank you so much. I have no idea how long I could keep this blog, but if there is one person who could enjoy my blog in this world, I would like to keep going. So, today’s cosplay is so special because this character is my friend’s favorite. In fact, she suggested me to start this blog. I took up her suggestion and started…this is how I started my blog. Cosplay came after that, though. The character she really loves is him. 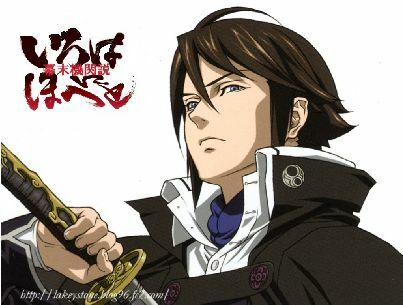 He is Akidsuki Youjirou[秋月耀次郎] from Bakumatsu Kikansetsu Irohanihoheto[幕末機関説いろはにほへと]. Have you heard of this anime? I doubt so many of you haven’t because this anime is not that popular. Speaking of Bakumatsu anime, I can think of Hakuouki, Rurou ni Kenshin, Peacemaker, Bakumatsu Renka Shinsengumi or that kind of thing. For some reason, Bakumatsu era is something so many women feel romance. There is always a young girl and several good-looking guys surround her. Why do they love something like this?^^ But, in this kind of genre, you can always see how strong those men were, and how wonderful the friendship they share with is. You can even see how great the spirit of samurai is. This anime, of course, shows such a strong spirit of samurai. You can see the storyline here. I wanted to do this cosplay again because I was not fully satisfied with my previous cosplaying of him. I bought a new wig and styled myself because I could not do this before. And I found a better location for this character, and asked the photographer to come with me. It was so freezing with this costume in December, but I didn’t care. We cosplayers always have to bear the heat and the cold, that’s why. It’s December, and this year is going to end soon. Looking back, so many things have happened…good things and bad things. Of course, I mustn’t forget about the terrible earthquake. But luckily, I am alive and doing okay. I have cosplayed so much, maybe too much. Of course I shouldn’t forget what I am supposed to do here in my blog, yes I’ve got to introduce a new term, haven’t I? Okay, let’s start. Because I am a cosplayer, we are aware of what series are the most popular. Tigar and Bunny, Ao no Exorcist, and Uta no Prince-sama(I want to cosplay Tokiya) were really popular. Also, there is an unforgettable series, isn’t it? Yes, that is 魔法少女まどか☆マギカ [Mahou Shoujo Madoka Magika]. 魔法少女 [Mahou Shoujo] means a wizarding girl. Yes, there are a lot of anime which follow mahou shoujo, but Magika is absolutely particular. You’ll see what I mean if you watch it. Put aside the outstanding storyline, let’s review the history of mahou shoujo anime series. Mahou shoujo is, needless to say, a genre of moe bishoujo anime, and always attracts a lot of fans. A cute girl who can conjure is charismatic for most girls and always grabs men’s hearts. Long time ago, in such an anime just the heroine is a mahou shoujo. 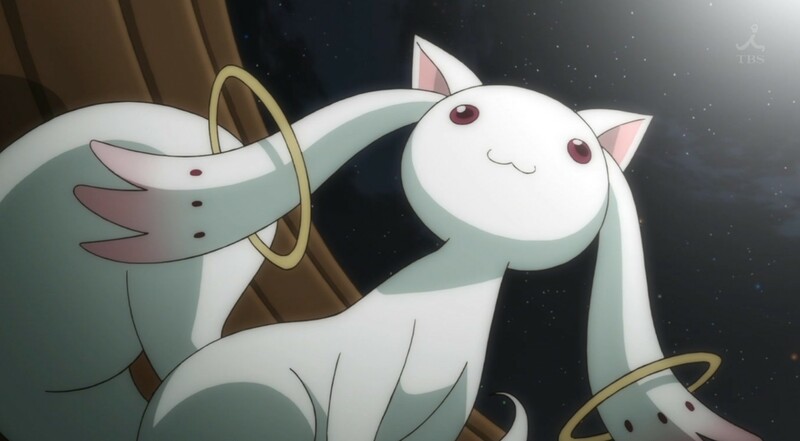 If you think of mahou shoujo anime, would there be more than two or three mahou shoujo? But when I was a kid, only the heroine was a mahou shoujo, and she always helps people with her magical power. Speaking of such a heroine I might say Sally from 魔法使いサリー [Mahoutsukai Sally], or Mami from エスパー魔美 [Esper Mami](she is a psychic, though). They go to people who need help, and save them. For what purpose do they use magical power? That is to help people. But in the next generation, mahou shoujo evolved out of what they used to be. There are more than two mahou shoujo in the series. They would quest the world and use magical power to fight against the evil. Yes, I would definitely think of Magic Knight Rayearth in which three wizarding girls quest. Before, what a mahou shoujo has in her hand is mostly a broomstick or a wand, but they might have a weapon like a sword or a bow and an arrow. Mahou shoujo not only help people but fight for justice. Speaking of which, Mahou shoujo Lyrical Nanoha has more than two wizarding girls although just Nanoha is in the title. Meanwhile, there is a type of genre called 戦闘美少女[sentoubishoujo] or a fighting girl. In this genre, there are always girls who battle with evil. Maybe they can use magical power. 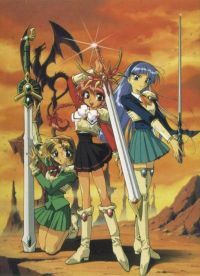 Like I mentioned Magic Knight Rayearth, they could be either Mahou shoujo or Sentou bishoujo. I shall leave it to you. Sailor Moon or Precure could be both. Anyway, why are there more than two wizarding girls after 1990’s? I assume that most girls wish they could fight like boys and adore a strong friendship such as One Piece. So this genre is something most girls want to follow. If the series have several unique girls, it might last very long like Precure or Oja Majo Doremi. Even my niece really loves Precure series. Having said that, here is a definitely different type of Mahou shoujo, yes, that is 魔法少女まどか☆マギカ [Mahou shoujo Madoka Magika]. I don’t want to give away any spoilers in case you haven’t watched this anime, but there are two terms to introduce. Both coming from the episodes, so please mind spoilers. The heroine, Kaname Madoka is a normal school girl who has a gentle dad, mom, and a younger brother. One day, a new girl named Akemi Homura transfers to her class and for some reason she warns Madoka not to be a mahou shoujo. Soon after, Madoka encounters a cute creature named Kyuubee, and it says 僕と契約して魔法少女になってよ！[boku to keiyaku shite mahou shoujo ni natteyo!] or why don’t you have a contract with me and become a mahou shoujo? This contract is too fateful, but if you have a contract with Kyuubee, you can grant one wish of yours. But you have to be a mahou shoujo. Once you become a mahou shoujo, your daily life would end. Kyuubee doesn’t explain what will happen to a mahou shoujo. Yes, he is so cruel though he doesn’t even care. 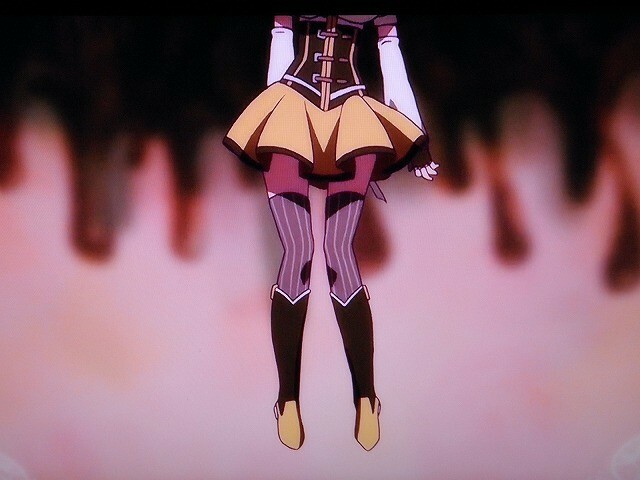 In this way, lots of mahou shoujo have sacrifised their own lives. That is why Kyuubee’ line got so popular out of the series. You can replace mahou shoujo by anything else. Meanwhile, there is one more thing which made this anime so popular. That is what happens in episode 3, meaning Mami’s death. Yes, she dies in the middle of the battle. It happens in one moment; the monster bites off Mami’s head when she gets careless. Here comes another term, マミる[mami-ru] meaning this kind of situation. Don’t let your guard down, otherwise you would die in a moment. So far we have seen encouragement, friendship, and justice in mahou shoujo anime, however, everything is not necessarily good. Fighting against evil is very dangerous. Magical power is not only to save people but to use for your own. You can make your wish come true, but you have to give up so many things once you become a mahou shoujo. Little girls would say like I want to be like Cure White when I’m grown-up, but mahou shoujo is a steep and horrible world. If you want to keep your daily life, don’t get yourself into such an extraordinary world. In many ways, this anime is absolutely a new type of mahou shoujo anime. So what type of mahou shoujo would come next? Lastly, since I am a cosplayer, I have to say this; 僕と契約してコスプレイヤーになってよ！[Why don’t you have a contract with me and become a cosplayer?] No, don’t get a contract!